It’s the time of year again when we teachers will be scanning until the cows come home trying to upload “evidence” of our teaching practice and earn the sacred stamp of approval of “proficient” (or even the holy grail of “exemplary!”). If only it was as simple as it is shown in this cartoon to document our teaching skills. Enjoy this comic and share with those who need a stress break from evaluation land. 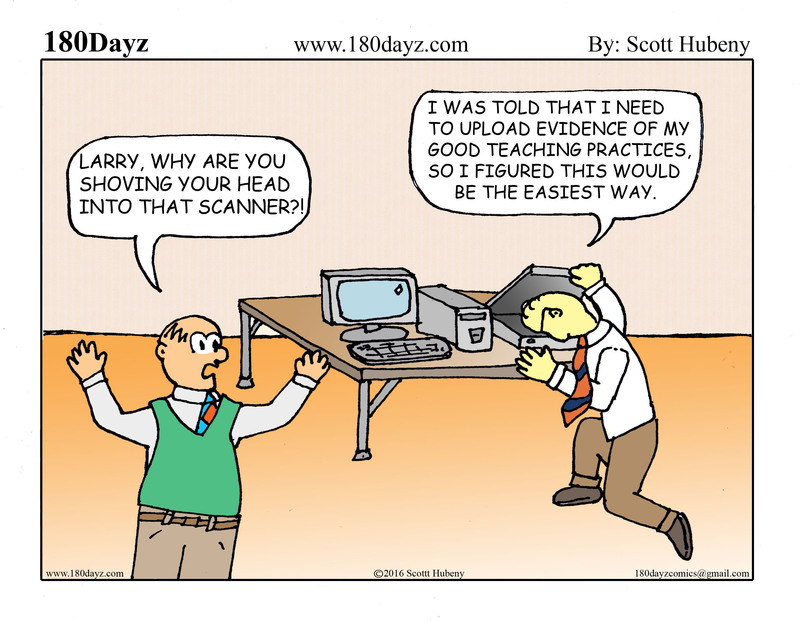 If only uploading artifacts for teacher evaluations was this easy! Next postTeacher Salaries, Are we worth it?